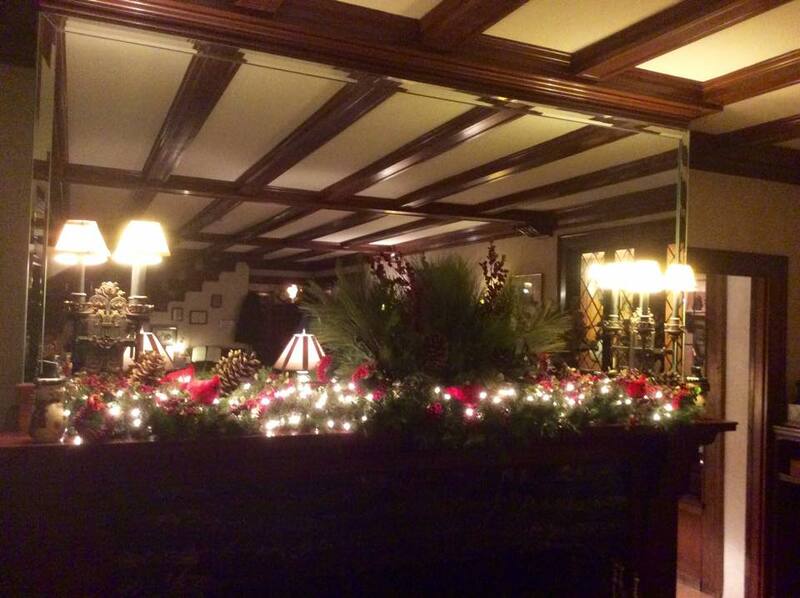 Take a tour of gorgeous holiday decorations at DINE inns in VT, NH and ME. 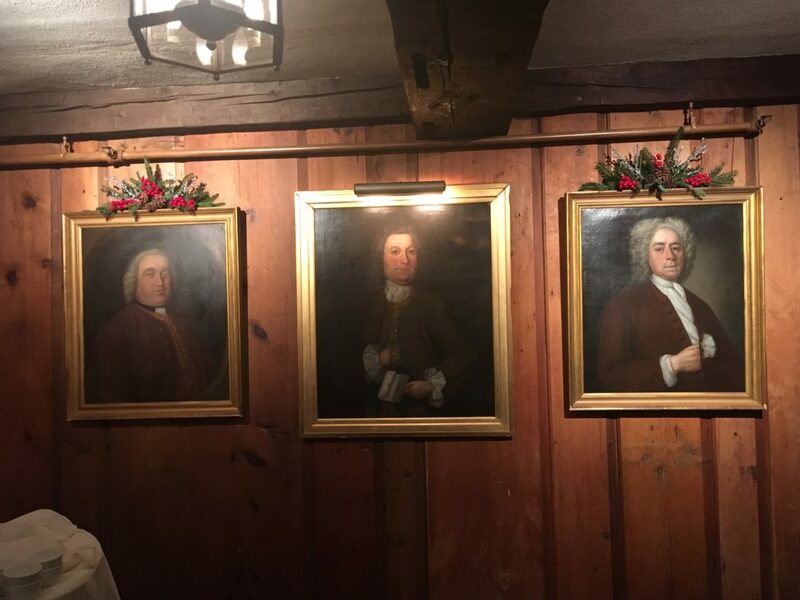 We’ve been so busy talking about the 12 Days of Christmas offers, we have not yet had a chance to show off the gorgeous decorations at the 12 Distinctive Inns of New England (DINE). However, before we move on, we should note that a few of those 12 Days of Christmas offers are still valid. If you were unable to get in on the other offers, check out the BOGO offer from Inn at Harbor Hill Marina and the offer from Gateways Inn, valid for throughout Chanukah. Simply click here to see all the 12 Days of Christmas offers. Each year it seems like the DINE inns outdo the previous year when it comes to holiday decorations. We love showing them off, so today we’ll take you on a tour of the DINE member inns in Northern New England. Starting in Vermont with the Grafton Inn, you’ll find holiday reminders every where you turn; even in some very unexpected places! A crackling fire, beautiful decorations and comfy chairs. Can’t you picture yourself here? All dressed up for the holidays; complete with a blanket of snow to add festivity. Holiday bling everywhere. Wouldn’t the founding fathers be pleased? 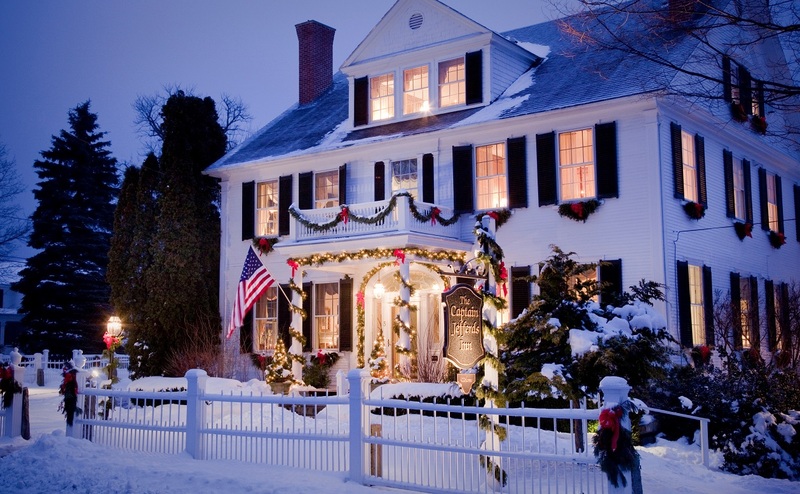 Moving over to Vermont’s Northeast Kingdom, the Rabbit Hill Inn celebrates all the holiday traditions with twinkling lights, natural boughs and crystal ornaments. 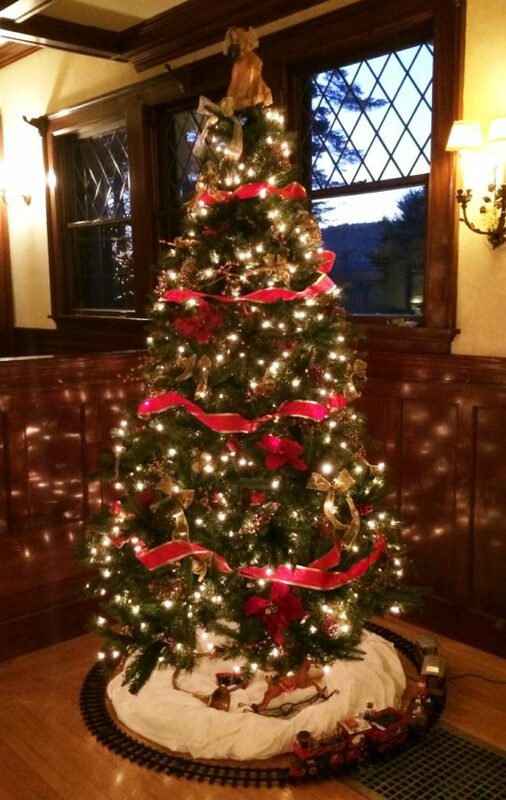 Christmas and Hanukkah are not the only holidays at Rabbit Hill Inn. 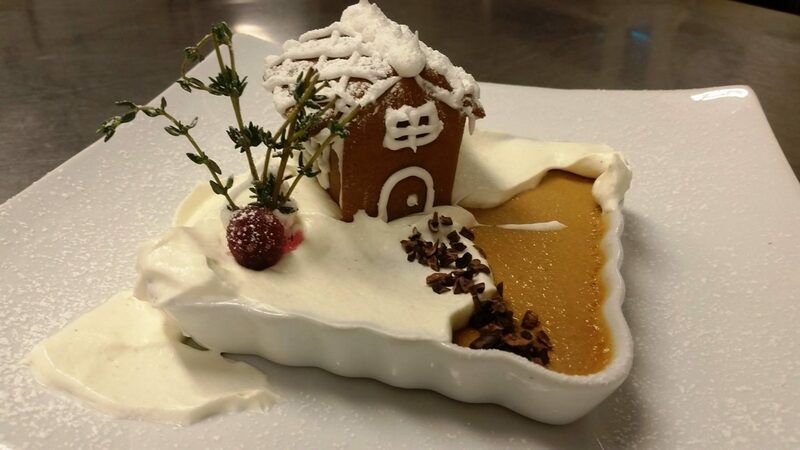 National Gingerbread Day was celebrated with this Gingerbread Pot de Creme dessert. A masterpiece! 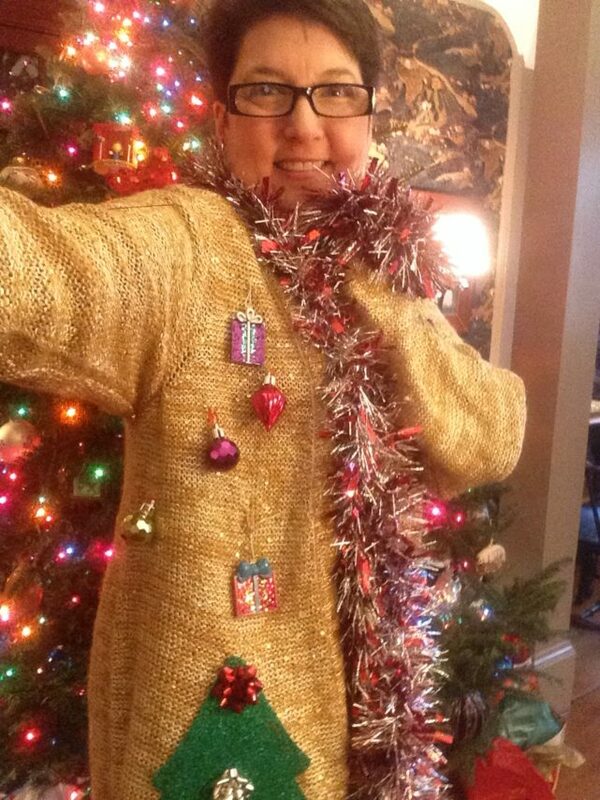 From traditional to whimsical, Leslie shows off her lovely Christmas sweater for the camera. Now it’s onward to New Hampshire where recent snowstorms have offered up more than a foot of snow to add to the festivity of the season. From skiing to ice skating to icing on the holiday decorations, DINE’s New Hampshire inns are aglow in holiday luminosity. 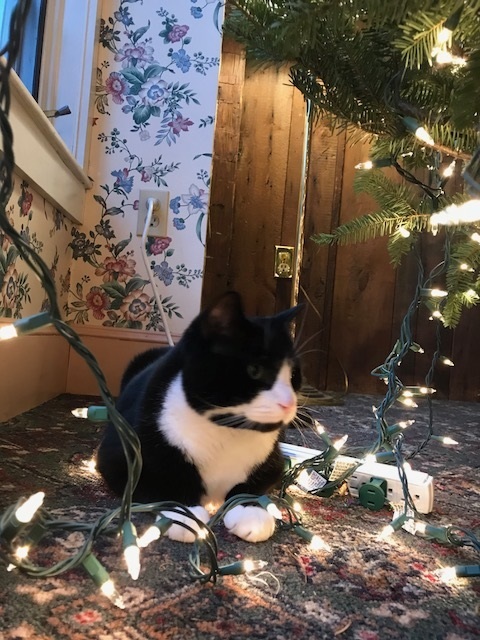 Starting in West Chesterfield, the Chesterfield Inn’s postcard-perfect holiday decorations offer a taste of the traditional, along with a precocious kitty to welcome guests. Yoda, everyone’s favorite inn-cat has discovered a new toy at the Chesterfield Inn. Everyone loves the green and red sled at Chesterfield Inn. 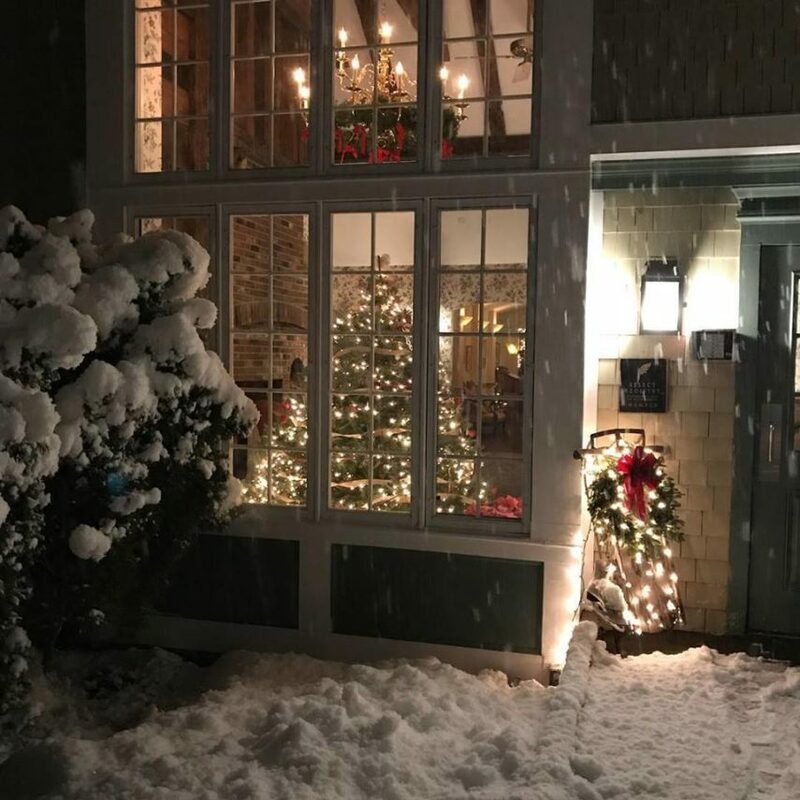 At Manor on Golden Pond, with a snow-covered Squam Lake in the background, holiday decor offers a welcoming home away from home for those traveling during the holidays. 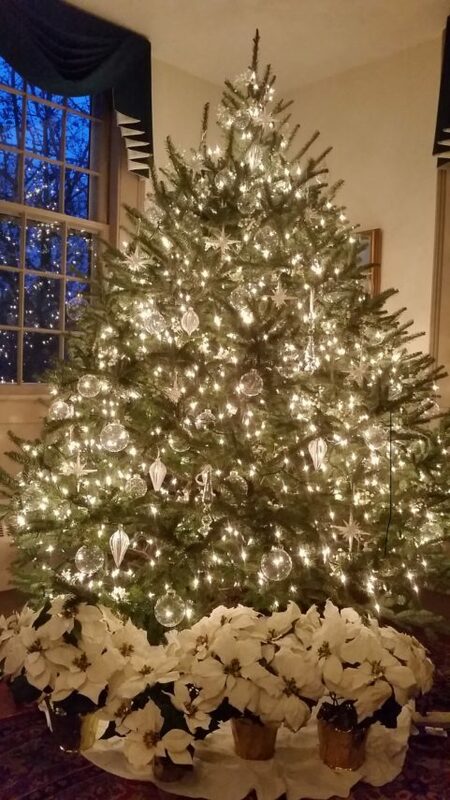 This grand tree in the lobby is a popular selfie-location at the Manor On Golden Pond. A view of the lobby decorations at Manor On Golden Pond. 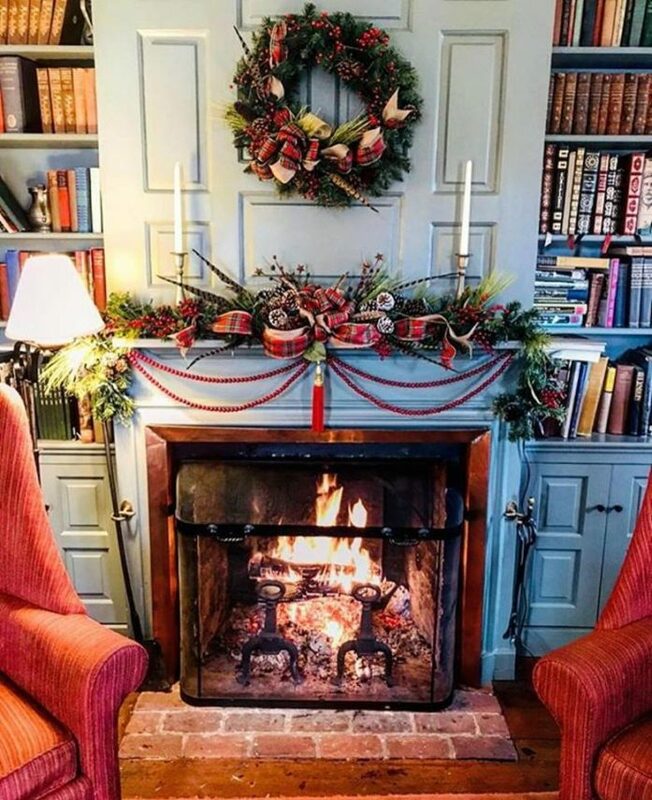 At DINE’s Maine inns, holiday decor offers up just the right amount of red and green, along with traditional trimmings fit for the historic inns they grace. With windows aglow in candlelight, the Captain Jefferds Inn welcomes guests in from the cold. Jumping Rocks photo. 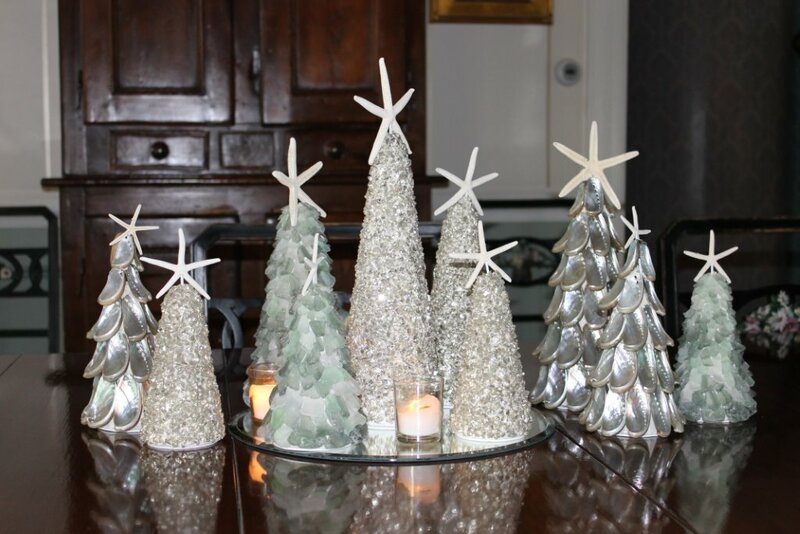 Silver Christmas Trees delight guests at Captain Jefferds Inn. 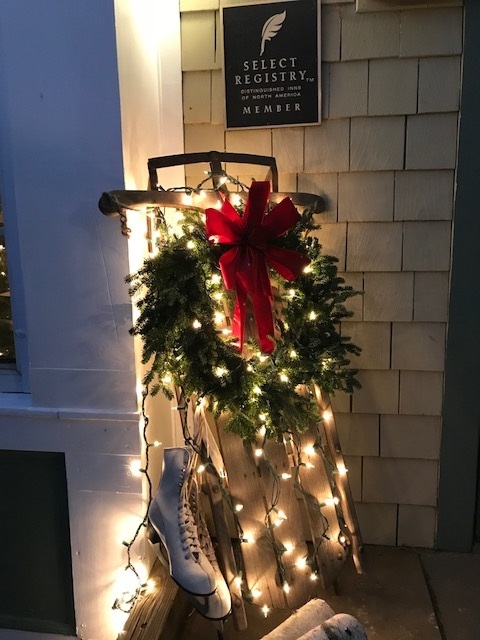 In Camden, where Christmas is celebrated beside the sea, the Camden Maine Stay Inn offers a postcard-perfect place to spend the holidays away from home. 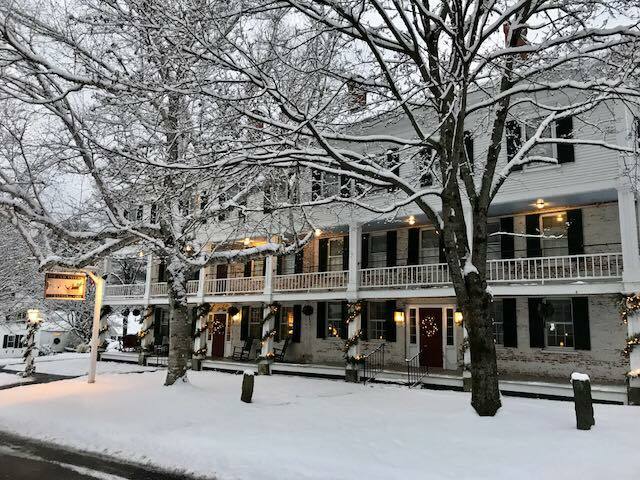 Recent snowfall adds a blanket of fresh whiteness to add to the allure of the Camden Maine Stay Inn. Next week we’ll continue our tour through DINE country and visit our more Southern inns. 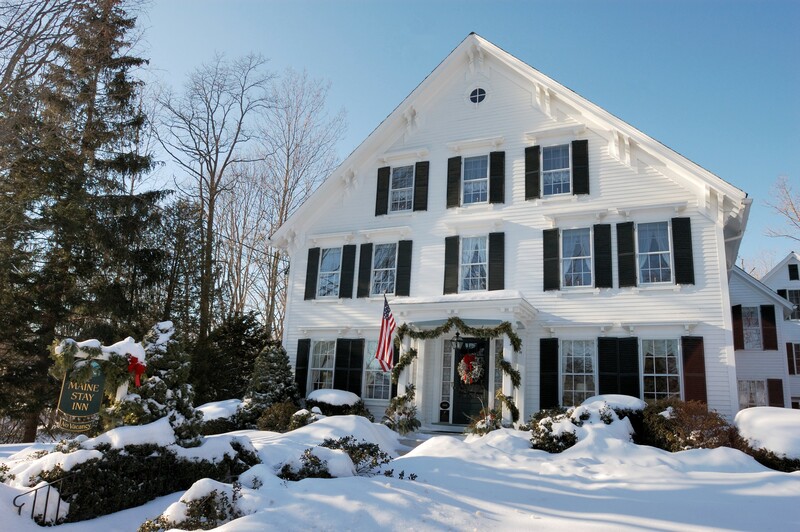 Meanwhile, it’s not too early to start planning your Valentine’s and winter getaways at the 12 Distinctive Inns of New England by clicking on links below that will take you directly to each of their websites, and be sure to follow us on social media and email for a deal from each of these inns from December 1-12, 2017. This entry was posted in Camden Maine Stay, Captain Jefferds Inn, Chesterfield Inn, Country Inns, Distinctive Inns of New England, Historic Homes, Holiday getaway, Manor On Golden Pond, Rabbit Hill Inn, Winter Getaway Packages and tagged B&B holiday decorations, holiday decor, holiday decorating from innkeepers, holiday decorating ideas from innkeepers, holiday decorating ideas from New England innkeepers, holiday decorations at Maine inns, holiday decorations at New Hampshire inns, holiday decorations at Vermont inns, holiday decorations in Maine, holiday decorations in New Hampshire, holiday decorations in Vermont, ME inns holiday decor, New England B&B holiday decorations, NH holiday decorations, NH inns holiday decor, VT holiday decorations, VT inns holiday decor by DINE Blogger. Bookmark the permalink.